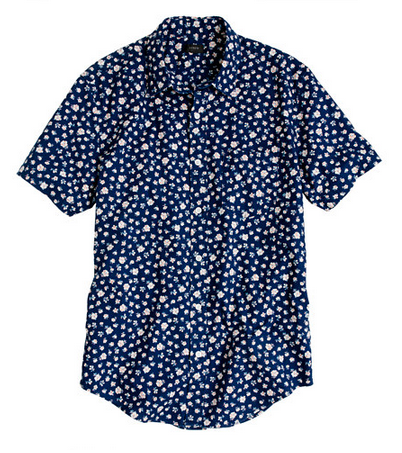 i’ve been admiring floral prints shirts from afar. i didn’t want to jump too early on this trend out of fear they would go as quickly as they came. a few minutes ago while scanning j. crew’s new arrivals section, i came across this beauty. it retails for $148 and is currently listed as sold out. i hope they replenish their stock before i change my mind on all of this floral print s**t. i ain’t getting any younger which probably works in floral print’s favor as most people over 70 aren’t afraid of a few flowers on their clothes.